The annual WIAA Women’s Rally to the Valley Presented by JK Tyre will take place on April 7, with over 600 ladies expected to compete for top prizes and glory. The organisers, the Western India Automobile Association, announced this at a press conference on Tuesday, promising a much bigger and grander event. The highly popular TSD Rally, entering its fifth year, will be flagged off from Omkar 1973, Worli and cross important landmarks in the city, including Century Bazaar, Siddhi Vinayak, Shivaji Park, Shivsena Bhavan, Dadar Plaza, Dadar T.T, Five Garden, Sion, Eastern Express Highway, Vashi, Belapur before culminating at Aamby Valley City near Pune. A team of celebrities and safety volunteers will be present at key points throughout the route to encourage the participants and to ensure a smooth ride for them. "The goal of the annual women's rally is to advocate legislation and policies for women's empowerment and for their working rights. We push for girl child education and fight against sexual harassment," Nitin Dossa, Executive Chairman of WIAA, said. "Today's woman is no longer a dependent soul. She is independent and self-reliant in every respect and is capable of doing everything. Our experience shows that such events have become extremely successful and popular and a matter of keen interest for all automobile owners," he added. The FMSCI-approved Rally to the Valley has become an important milestone in Mumbai’s motorsports calendar, endeavouring to celebrate the empowerment of women. At the same time, it promotes awareness about road safety, with the WIAA training and educating them about the various precautions they need to take while driving. “As a major stakeholder in motorsports in the country, we are really proud of being part of this event. We have been at the forefront of fighting for women’s empowerment,” Mr. Sanjay Sharma, head of JK Motorsports, said. “Our goal is to attract more and more women to our sport and this a perfect platform for it,” he added. 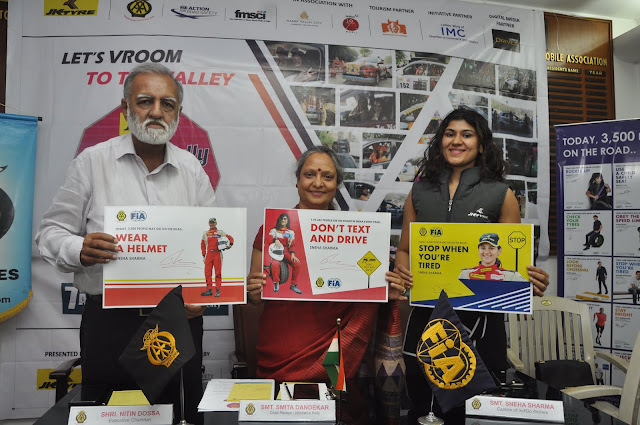 “Over the last few years, we have been actively supporting motorsports events for women, right from the YFLO Power Drive in Delhi to the Women’s Drive to Chandigarh. We even introduced an all-women’s racing team in the LGB National Championship for the very first time in India,” Mr Sharma added.